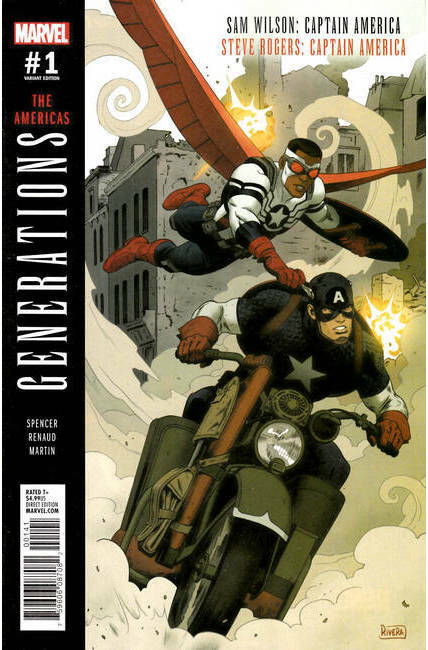 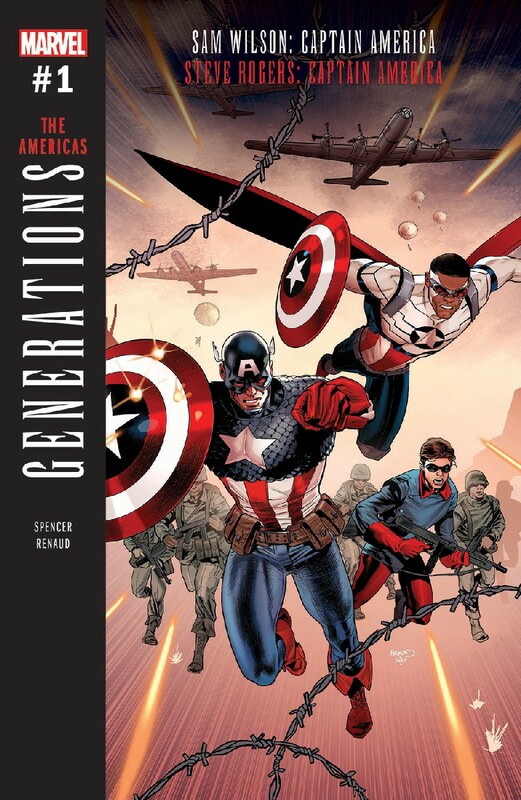 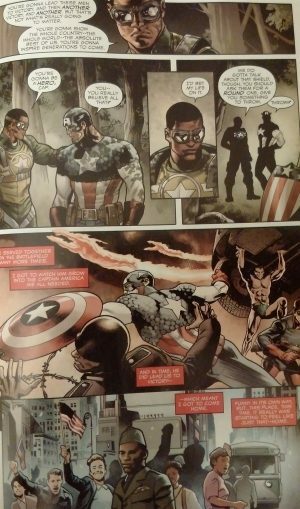 Marvel Comics Legacy Spoilers for Generations: Captain America Sam Wilson and Captain America Steve Rogers #1, The Americas, follow. 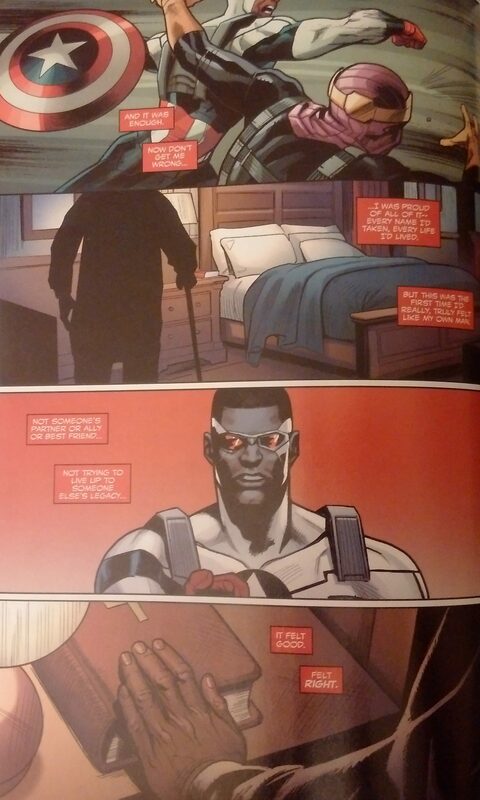 We open with the usual Vanishing Point poem and credits page. 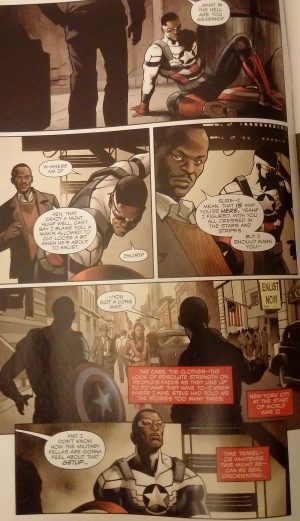 Sam Wilson Captain America has seemingly been sent back in time to interact with World War I’s newly minted Steve Rogers Captain America. 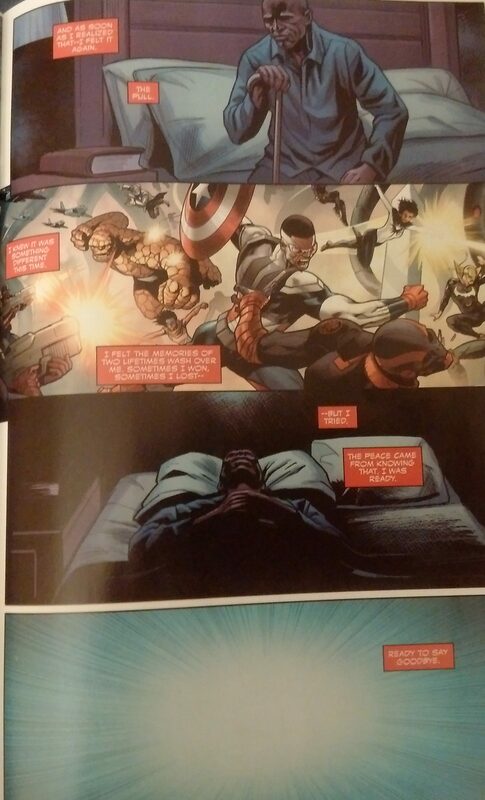 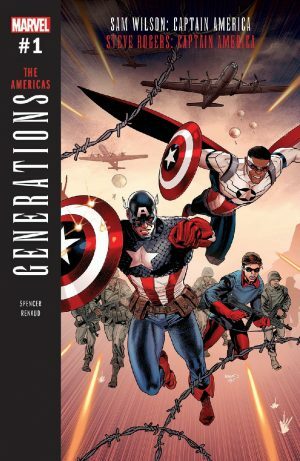 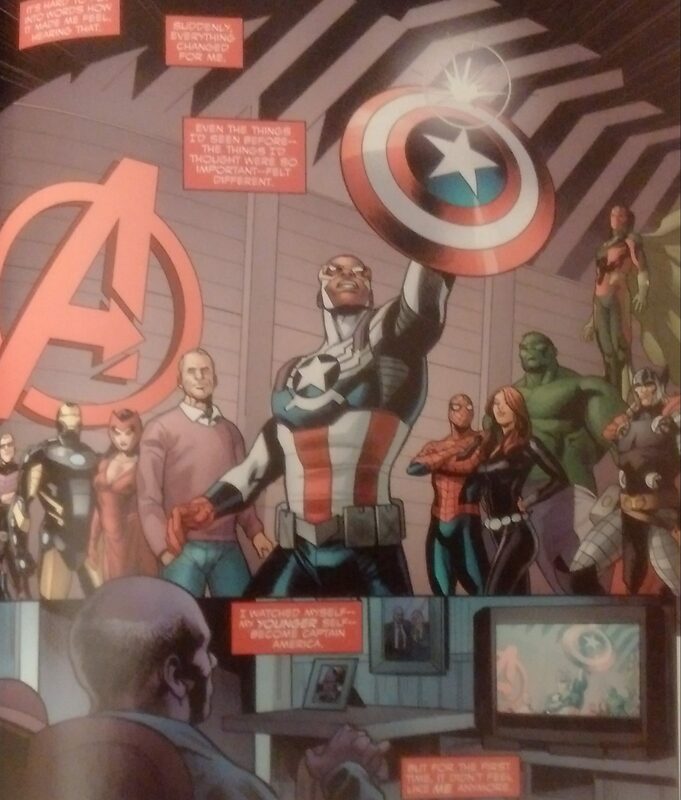 The book opens with a cool plot device that has Sam Wilson narrate his adventure to his bosses. 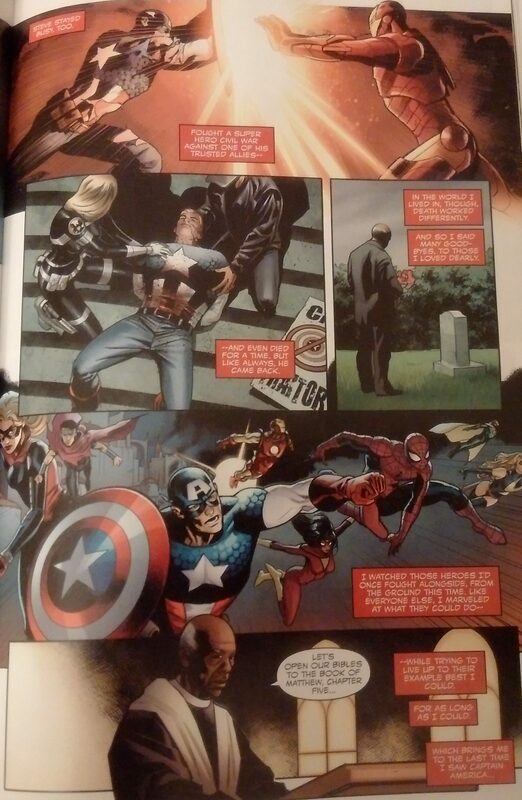 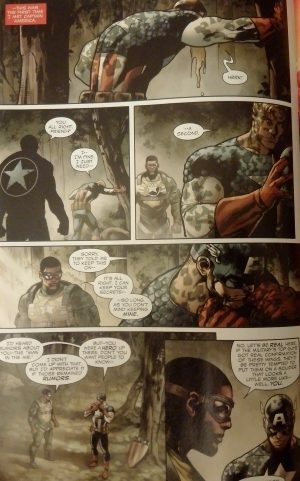 Unlike many of his peers that were transported at the end of Secret Empire somewhen to directly meet their predecessors, Sam Wilson is transported earlier and not near Steve Rogers. Sam Wilson eventually meets a nervous Steve Rogers in battle overseas, after enlisting the army training, etc. 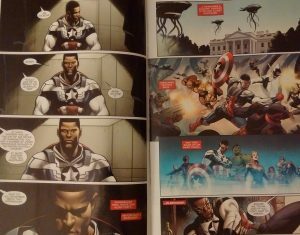 So it was some time after his arrival in the past that the two Americas meet. Sam Wilson gives Steve Rogers a pep talk which seems to get his head in the game. However, Sam Wilson does not get transported back to the present. 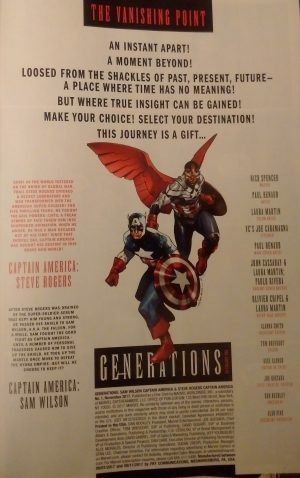 He is trapped in the past. 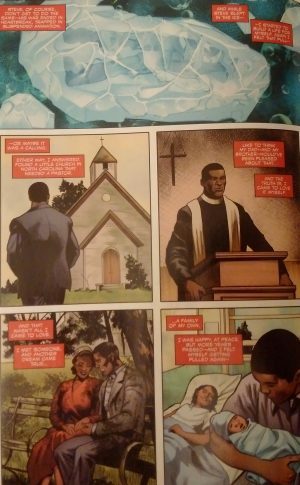 He continues he life under his assumed new identity and becomes a pastor, gets married, has a kid, all the while Captain America is frozen in a block of ice after World War I waiting to be found by the Silver Age Avengers. 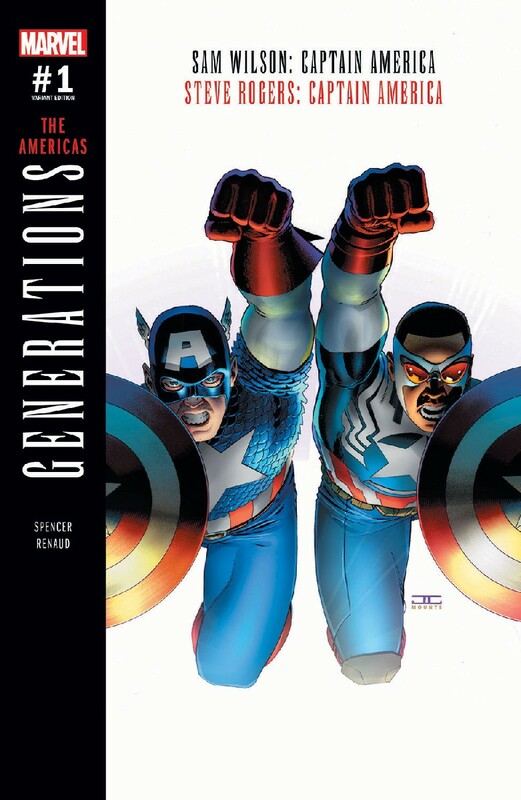 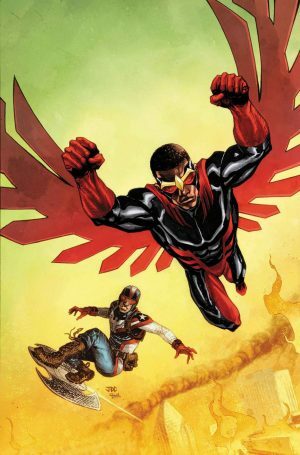 Sam Wilson ages and becomes a witness to Marvel events that his younger self was part of. 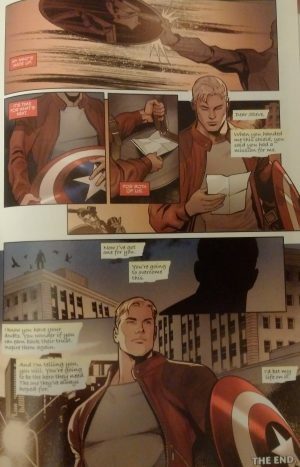 Even seeing his younger self become Captain America.